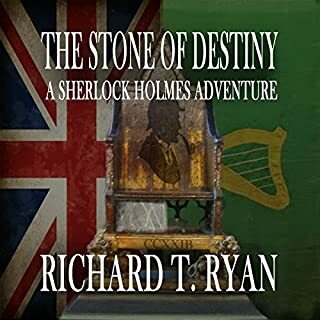 During the elaborate funeral for Queen Victoria, a group of Irish separatists breaks into Westminster Abbey and steals the Coronation Stone, on which every monarch of England has been crowned since the 14th century. After learning of the theft from Mycroft, Sherlock Holmes is tasked with recovering the stone and returning it to England. Couldn't stand to listen to more than 3 chapters with this or nation and cheesey sound effects. Out of dozens of Sherlock stories over listened to, this is the best. Great plot twists and turns. It's really long, but with the time it takes. The Great Detective has more in store for his landlady's niece than washing jars and labeling specimens: pistol shooting, fencing, boxing, and Jiu-Jitsu. 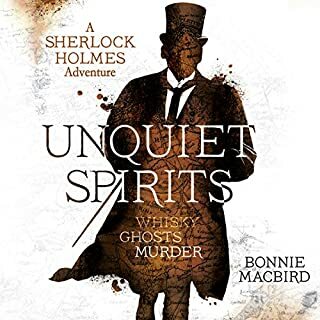 This she can master, but Mirabella Hudson must face the greatest horror of all: *Miss de Beauvais' Finishing School for Distinguished Young Ladies. 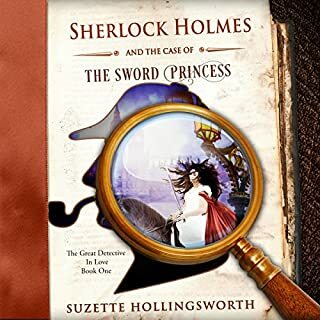 This is much more so a story of a girl who is trained by Holmes, you hardly read about his doings. Not a bad story though, just clearly geared more so towards girls as it is a sort of romance novel.